Richard Noughty – somewhere around 1770 – 1830?? Margaret Watt – ditto ?? In addition, 4 further children died and I have not yet found their names or dates. Old and current cottages at Mill of Prony (courtesy Stanley Howe). 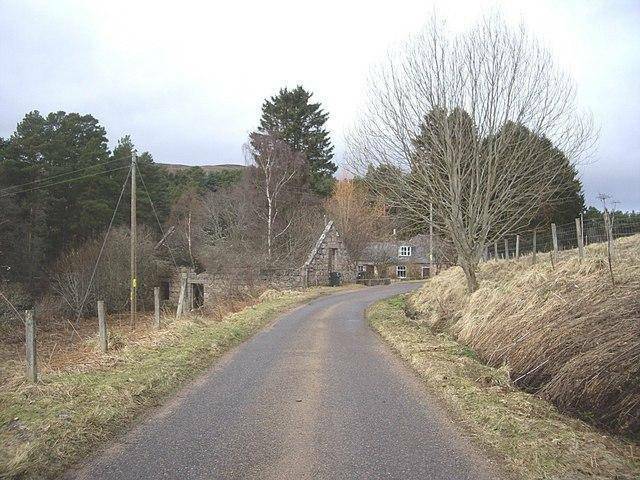 Prony is a location about 2 km northwest of Ballater, at the lower end of Glen Gairn. There was a mill there, and a hill (crag) nearby named Craig of Prony. Welcome to this site. I’m afraid I don’t know the answer to that question. I have had a quick look at a couple of sources and couldn’t find out. Do you have any dates for Robert and Christina? That would make it easier to search for them. Are you related to them? Hi Eric, I am not related to them ; however here is the information for Robert Duncan McNaughton married to Christina Mary Anne Armour. Robert was born in St-John , New-Brunswick then move to settle in Saskatchewan Canada. I am a veteran and this family has many Generals and one of the McNaughton, Andrew Leslie is a retired Lieutenant General who is in our area running to become our deputy for the liberal party for the federal election. I’m sorry Andre, but I haven’t been able to find them. I am using the free Family Search, but they don’t seem to appear there. Do you know any dates for them (birth, marriage or death) as that would help? It is possible they used different names, or only one of their first names, and having dates would help.